Product #15740 | SKU 2378151 | 0.0 (no ratings yet) Thanks for your rating! 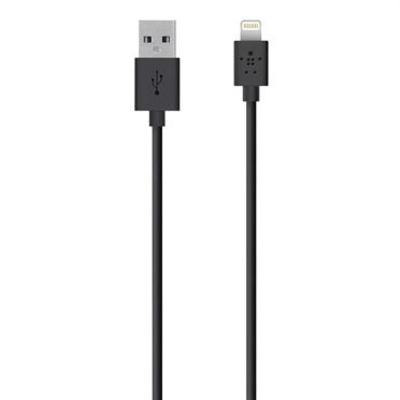 The 6.6' Belkin Lightning to USB ChargeSync Cable in white is designed for the iPhone 5, 5th generation iPod touch, 4th generation iPad or iPad mini. The cable allows you to charge and sync your device by plugging it into the USB port of a computer. Or you can plug it into a separately sold wall or car charger with a USB port. This makes an ideal replacement or spare cable to have on hand.